This is not an America playing to win. It’s an America playing not to lose. 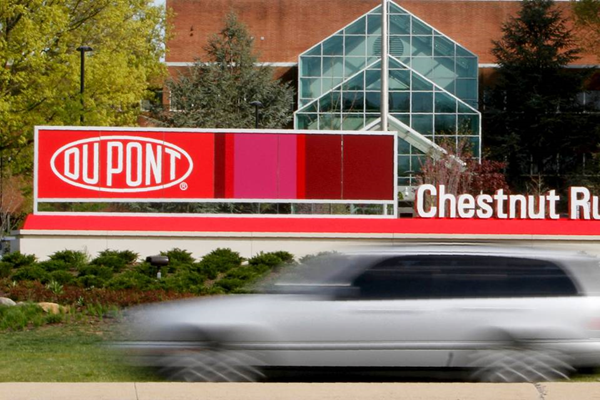 To the eyeshades on Wall Street, a DuPont - Dow Chemical merger is a thing of utter sensibility. Cut costs. Rationalize. End two problems with one final $60 billion flourish. But there is a mournful edge to the whole idea. It’s as if these two companies—absolute bedrock of U.S. industrial might—have given up faith in themselves and their futures. Is thriving, surviving, and adapting through 331 years of total history not enough to keep these companies confident? DuPont was founded in 1802, Dow Chemical Co. in 1897. Surely they’ve persevered through things tougher than activist investors in argyles and loafers. Self-confidence seems to brim only in Silicon Valley. Across the American business world, the goal is to cut costs, consolidate, do more with less. You can literally feel it when you are shoved onto on a shrunken middle seat on a United Continental or American-US Airways flight. Or perhaps when you drink a future Budweiser-Miller brew. Or are left selecting health insurance among a dwindling set of megaproviders. 1) The economy at large isn’t producing enough growth to keep stockholders content. For the largest companies—who are more or less indexed directly to U.S. and global growth—there is little they can do but keep cutting costs. (Predictions for 2016 global GDP growth of 3.3% seem very aggressive.) Eventually, this takes the forms of mergers, and 2015 has produced over $4 trillion of transactions. The vast majority of them are “in industry,” which is banker-ese for cost-cutting exercises. The CEO of Fiat Chrysler Automobiles NV is literally begging General Motors Co. to buy his company. 2) Activist investors. They may well just be ciphers for the bigger economic forces at work, but their particular brand of behavior modification has shaken boards to their core. Activists can absolutely do good for companies and the economy. (An in-depth Journal study of their influence showed a mixed track record.) The more important change is how they have forced boards into an intellectual sameness, and certainly a fear of reproach. Activists, as I’ve written before, “patrol the markets like prison guards with billy clubs.” Such seems the case with DuPont and Dow Chemical, both upended by activists. 3) China. Why couldn’t Sinochem International Corp. become the Huawei Technology of agriculture? Few in the U.S. know much about companies like the state-owned Sinochem, which are increasingly advanced players in the global market for chemicals and agriculture technology. It’s not hard to imagine a future where Sinochem slowly takes market share in small markets, and then works its way across Asia, Africa and into Europe and the Americas. It could be much in the way that Huawei has done for telecom, forcing a four-way merger between the last Western majors of Lucent Technologies, Alcatel, Nokia Corp. and Siemens. For Dow and DuPont, perhaps it’s best to merge sooner than later. Each of these reasons suggest that a DuPont-Dow deal is, intellectually, a perfectly sensible outcome. Emotions are another matter. It’s only a matter of time until the congressional hearings and testimony from very angry farmers. Eventually someone will tote up the loss of research and development, jobs, and economic support for communities. And then perhaps the final, creeping fear: If the likes of Pfizer Inc., Anheuser-Busch, DuPont, UnitedHealth Group Inc. and American Airlines Group Inc. have lost faith in the future, why should we feel any different?